Back row: Coach Johnathan Willis, Rachel Boyd, Ryann Tate, Meagan Collins, Rebekah Burner, ........., Leah Clayton, Carly Ford, Grayce Darden, Karyl Smith, Head Dan River Coach Allen Springs. The Rookie Tournament Was Tremendous! Here are the teams! 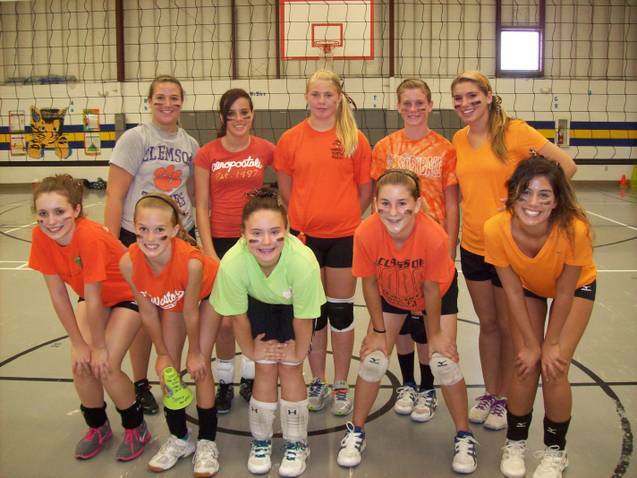 Coach Victoria's and Coach Alysha's team was The Cool Cats! Coach Daphne's team was The Bubbles! Coach Sparks team was the Grasshoppers! Thank you very much for my award. You and your camp rocks! Coach Houser, camp was amazing!! Mon - Wed 9am to 4pm with a 1 hour lunch break. Thursday 9am to noon. Tournament action began around 10am on Thursday! The camp registration form was here! A $50 deposit was due with registration. There was limited number of spaces available, plus, players from other schools were allowed to attend, so, campers were urged to not procrastinate! Fall 2011 is the 5th season for Johnathan Willis at Randolph College. Willis has coached four All-ODAC Honorable Mention honorees. At Liberty University, his alma mater, Willis served as both a volunteer assistant for the NCAA Division I women’s volleyball team as well as the head coach of the Flames men’s volleyball club program. ,In addition to his collegiate coaching experience, Willis has worked as a local clinician at Heritage High School, Franklin High School, and Timberlake Christian High School. He also served as the assistant coach at Brookville High School from 2005-2006, during which time the Bees won the district championship and finished second in regionals. 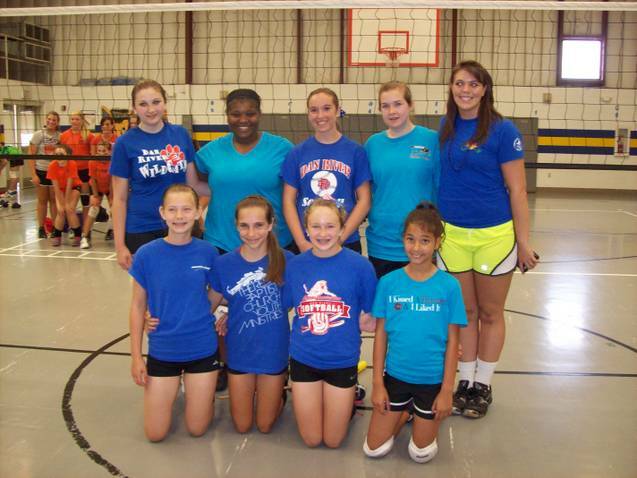 Willis has experience at the travel club level as well, having served as the head coach of the Heart of Virginia girl’s 16 and under travel volleyball team for the past two years. You can email Coach Willis at jwillis@randolphcollege.edu, or contact him at his office at 434-947-8339. The Randolph College volleyball website is here. Assistants to Devyn in the rookie division! Victoria Gentry and Alysha Clayton: 2012 graduate of Westover Christian Academy. Lindsey has had Devyn, Sarah, Daphne, Victoria, and Alysha this week. She has had an awesome time and can't wait for tomorrow's tournament. She has already asked about next year. She put part of her birthday money away for next year! She has increased her setting abilities, jump serves, and spike approach capabilities. AWESOME CAMP and LEADERS! Thanks so much. Kristiy Hite, mother of Lindsey Hite, DR rookie camper. See the 2011 camp in the Star Tribune here! The younger campers will be at Kentuck Elementary. Touch here to see the high school website! Thank you very much for taking the time to come to Dan River High School. The camp was great and i enjoyed every minute of it!! 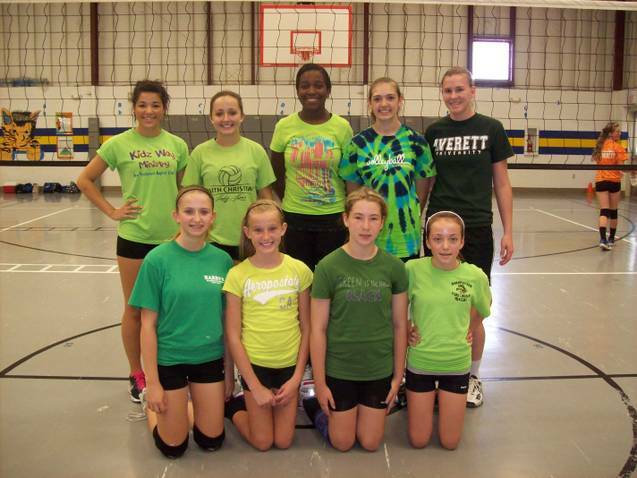 I loved learning more about the sport I love to play, volleyball! I hope that y'all will come back next year and we will have even more girls show up. Have a great summer!